The final scheduled week of the NSW government enquiry into cover-ups of child sexual abuse by clergy in the Newcastle-Maitland Catholic church diocese, ends with the “in camera” evidence of Adelaide Archbishop Wilson. We will only know Wilson’s details from what the Commission chooses to release in its report. This, as has been pointed out before, is less than satisfactory. Most of the week will feature non-clerical employees of the diocese. William Callinan was a school principal. He is the one whose lawyer indicated that his recollection of events was different to that of Bishop Malone. This specifically related to whether or not Malone informed Callinan about the dangers posed by a certain priest. This should be interesting since it will put Bishop Malone’s credibility on the line. 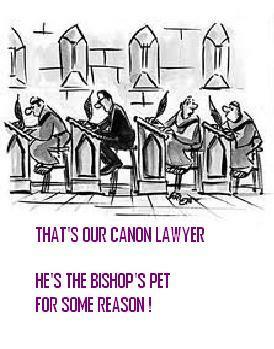 Other witnesses due to appear work for the diocese’s in-house PR unit. This is the so-called Zimmerman Services. It is a bit like the Melbourne Response set-up. Here, victims supposedly can tell their story to church officials and receive “healing”. A PR unit by any other name smells the same, so look for facile arguments about all the church is doing to help victims and protect children. Zimmerman director, Sean Tynan, will appear. His organisation is supposedly responsible for “Record Keeping: storing and managing relevant diocesan records relating to child protection matters, including investigations and volunteer declarations. “ This will undoubtedly be a focus of proceedings. Also listed to appear are social worker, Maureen O’Hearn, and Helen Keevers, both of whom work for Tynan. From the website material, it is clear that these people all promote the belief that the Newcastle-Diocese procedures are good. Perhaps, during questioning, another viewpoint will emerge. The curious witness due to appear is Dr. Roger Austin, a Canon lawyer. He figured prominently in the classic “Ellis Defence” case (see previous posting) which determined that the Catholic Church could not be sued directly for abuses. Presumably, he will have something to say about the limitations on the legal liability of the church, and possibly, also, the legal responsibilities of the church officials with regard to reporting abuses. Watch for a very slick performance, here. This entry was posted in Uncategorized and tagged (Australian New South Wales Government) Special Commission of Inquiry into Matters Relating to the Police Investigation of Certain Child Sexual Abuse Allegations in the Catholic Diocese of Maitland-Ne, Adelaide Archbishop Wilson, Bishop Malone, Catholic Church, Dr. Roger Austin, Ellis defence, Helen Keevers, Lewin Blazevich, Lewis Blayse, Maureen O’Hearn, Melbourne Response, New South Wales Inquiry, Newcastle-Maitland Catholic Church diocese, NSW government, NSW Inquiry, record keeping, Sean Tynan, William Callinan, Zimmerman Services. Bookmark the permalink.